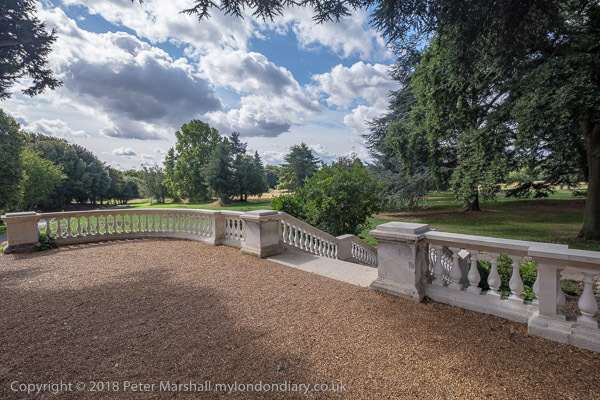 It should have been an easy walk from Brentford Station to Gunnersbury Park and it wasn’t far, but seemed longer going on a narrow path past extensive building work. The park used to be the home of various Rothschilds, part bought by Nathan Mayer Rothschild in 1835, and the rest in 1889. He had come to establish a bank in London and made a huge fortune in the Napoleonic wars smuggling gold bullion to pay Wellington’s troops, and by the time he bought the ‘Large Mansion’ was the richest man in Britain, but didn’t live long to enjoy this country estate, dying the following year. It flourished under his son Lionel, the man he lent the government the cash to buy half the Suez Canal. After Nathan’s grandson Leopold died in 1917 (the family having acquired a ‘de’) parts of the estate were sold off and in 1925 his widow sold the remaining 75 hectares of park and houses to the boroughs of Ealing and Acton (with some financial support from Middlesex County Council) to be kept for leisure purposes as a memorial to her late husband, and the park opened to the public in 1926. 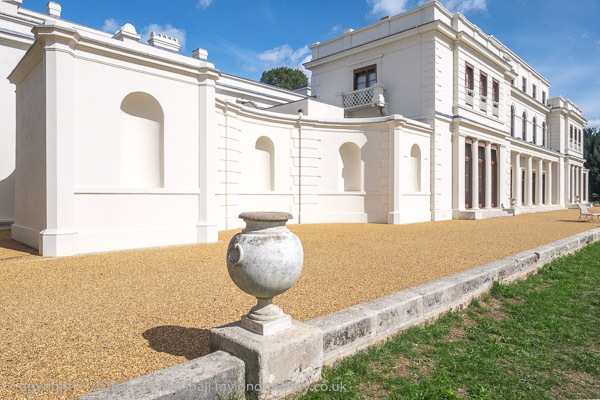 Gunnersbury had been chosen as it was ‘out of town’ a convenient ‘country estate’ for the lavish parties held there, only a short drive of around 8 miles from West End homes. Part of the reason for the sale may have been the opening in 1925 of the Great West Road, running along the southern edge of the park which would have brought much more traffic and make the location considerably less rural, with new estates being developed all around it. 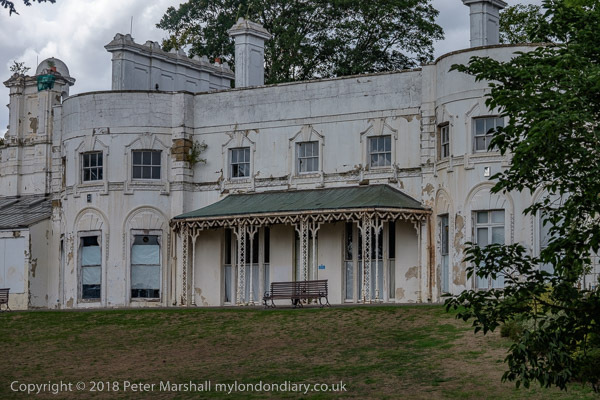 The Large Mansion has been recently done up and looks in splendid condition, though the local history museum it contains has been given a makeover as a rather shallow visitor attraction. 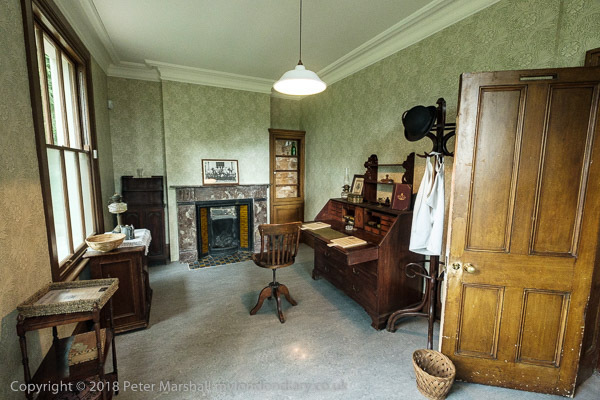 There are some things of interest, and it is still worth a visit, particularly the extensive kitchens, but I prefer my museums dusty and crowded with artifacts, and preferably with ready access to local history resources. Perhaps the large collections the two boroughs had are still available elsewhere; some documents form Hounslow are now at the libraries in Feltham and Chiswick. In the upper corridor are some fine large prints from the Autochromes taken around the house by Leopold de Rothschild, a keen photographer in the early years of the last century. He took up the process in 1908, the year after it was introduced, and The Rothschild Archive holds 733 autochrome plates, the largest collection by any single British photographer to have survived, and you can download an interesting document about them. One of the reasons why the autochrome process never achieved great popularity was that there was no simple way to print or reproduce the images. The plates, available in sizes from about 4.5×10.5cm to 18x30cm were usually viewed with a special viewer containing a mirror (or eyepieces with prisms) as the images were inverted. Now of course it is possible to scan them and make prints. We met the older members of our family at the mansion, after they had taken the short bus journey from Acton Town and ate at the cafe in the park. Tasty enough but not a place for either the hungry or poor, and for me the least satisfactory part of our day out. 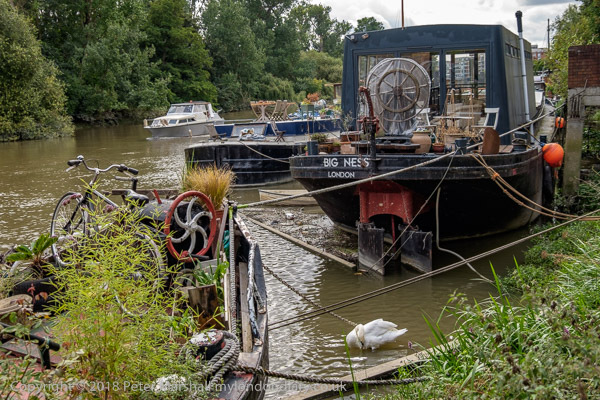 I made my excuses and left to take a further walk around the park and more pictures on a more direct way back to Brentford, intending to pick up another small snack when I got there. I’d just missed a train so took a further short walk around Brentford, although it was now raining slightly. This entry was posted on Saturday, December 1st, 2018 at 09:13 am and is filed under My Own Work, Photographers. You can follow any responses to this entry through the RSS 2.0 feed. You can leave a response, or trackback from your own site.